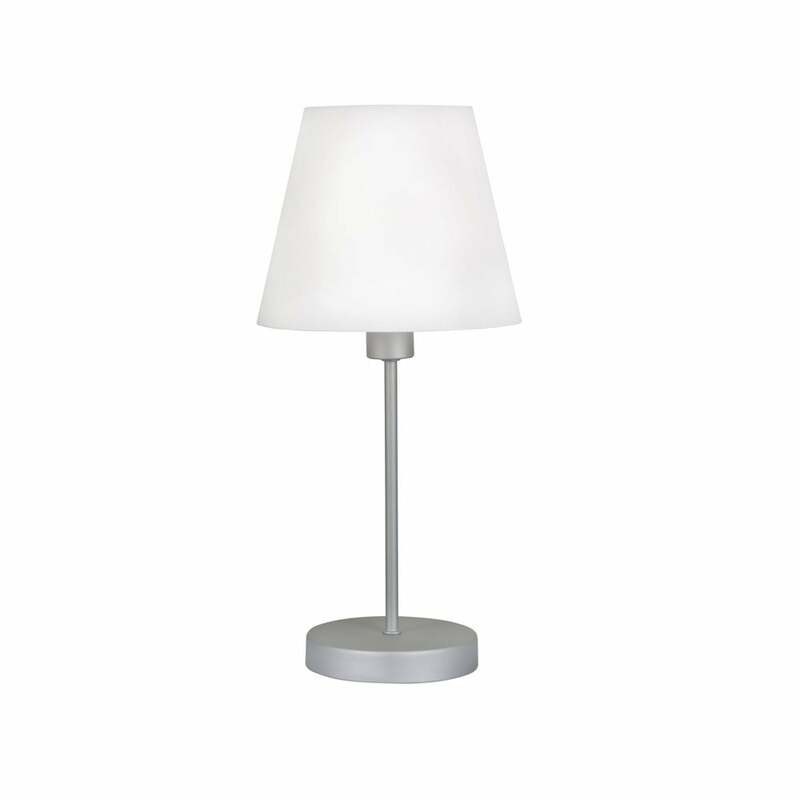 Oaks Lighting single light table lamp features a candle stick style base in antique chrome finish with a tapered shaped white shade. The product code is TL 311 L WH. This stylish design will sit well in modern decors and the satin chrome finish adds an elegant touch, operated by an inline rocker switch located on the cable. Also available in antique brass finish with cream shade and a smaller size is available which can be viewed on our website.